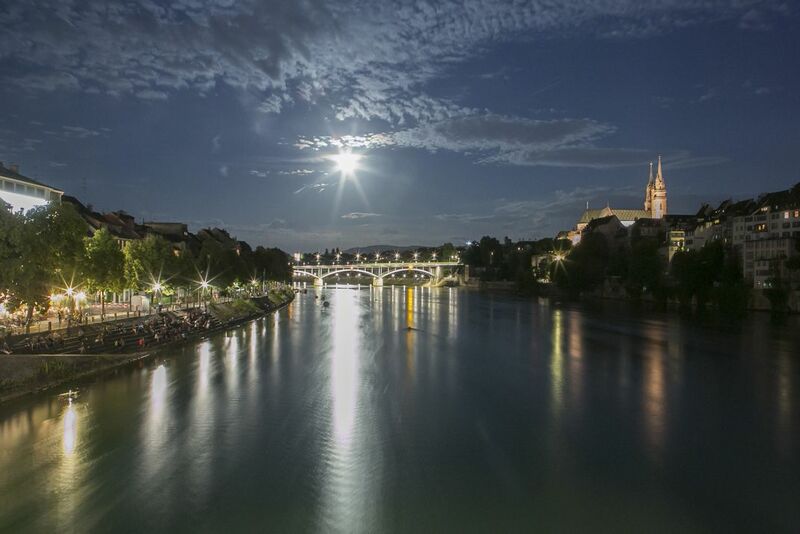 Walking along the Rhine River in Basel Switzerland on a full moon night in the summer, I was able to capture the Rhine, the Munster church on the right side, the full moon shining like a beacon, and the banks of the river with people lazing about on a warm summer night. It was a beautiful evening and I think this photo captured a perfect summer night! Date Uploaded: Oct. 24, 2015, 6:58 a.m.